We take the time with each and every one of our clients to understand their needs. Need help with a Divorce? We have the knowledge to help with your case. Our combined experience exceeds 40 years. You’ll want us to represent you. 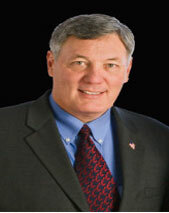 At Mike Hulen, Attorney at Law, family and divorce cases are handled by Michael Hule. Mike Hulen, Attorney at Law, was founded by Michael Hulen and Ben Leutwyler in 2009 with the mission of giving attentive service and personalized legal representation to families and individuals in the Denver area. Mike Hulen is a small firm that prides itself on giving personal attention to its clients. Mike Hulen does not delegate to a legal staff. Instead, he work directly with clients, with the understanding that every family deserves upfront communication that takes into account their unique situation. Mike Hulen’s clients are all individuals or families; Mike Hulen does not represent corporations or class action suits. Mike Hulen focuses on family law such as divorce, complex custody cases, parenting plans, and child support. He is a trained mediator. With his knowledge of the law and his mediation skills, he can often work with families to come to agreements without going to court. Mike Hulen is a family man who is passionate about family law. Call Mike Hulen, Attorney at Law, at 303-932-8666 for a free consultation or for more information about Mike Hulen’s skills and expertise as a family lawyer in Colorado. You may also contact us via our website. Mike has many years of experience in the Colorado family court. He treats their clients with respect and makes sure that they are fairly and fully represented to determine the best outcome for their families and children. At Mike Hulen, PC, our Colorado family law attorneys are skilled litigators with years of experience in handling various types of family law cases. Mike Hulen, PC, is located in Denver and serves clients from the Denver Tech Center, Littleton, Aurora, Castle Rock, Centennial, Conifer, Englewood, Evergreen, Golden, Lakewood, Monument, Parker, Greenwood Village, Highlands Ranch and Arvada, as well as Adams County, Arapahoe County, Boulder County, Broomfield County, Clear Creek County, Denver County, Douglas County, Gilpin County, Jefferson County, Park County and Teller County in Colorado.